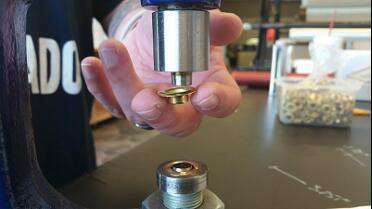 Self-Piercing Hiker Grommets are only compatible with Hiker Grommet Machines. Please note that the grommets pictured above may appear different on your computer screen based on resolution settings. Please use Inner Diameter (ID) measurements to confirm which size grommet you need. #2 is the top seller.